Apple Music launched last week and people promptly discussed whether or not it was going to kill Spotify, the other big player in the music streaming market. To date, the war between the two services has been fairly tame but history suggests things might get nasty as competition heats up. And, if history is anything to go by, that means we should get no end of entertaining quotes and rivalries from the main players. Here are some of our favourite tech dust-ups of all time! 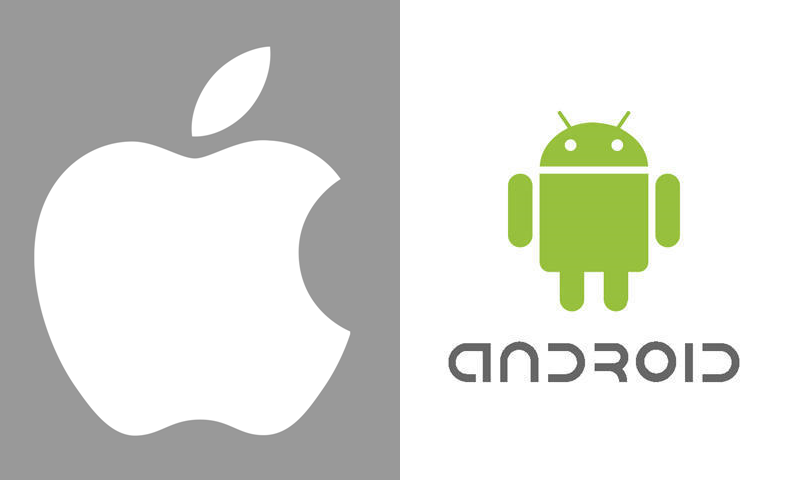 Apple vs. Google is a tragic tale of good friends becoming mortal enemies. In 2001, fresh-faced Google co-founders Larry Page and Sergey Brin apparently met up with Steve Jobs and asked him to become their CEO. Jobs declined, as he was busy running a multi-billion company of his own, but was so flattered by the request that he took the young entrepreneurs under his wing. Unfortunately, things went sour shortly after Apple launched the iPhone. In 2008, a year after the iPhone was launched, the first Android phone was released. Jobs, noting the similarities, was furious and apparently felt as though he had been betrayed. The war had begun. According to Steve Jobs, a biography by Walter Isaacson, Jobs was so angry about the similarities between Android and iOS that he declared he was going to “destroy Android, because it’s a stolen product”. In an email to Apple employees in 2010, he declared ‘holy war’ on Google’s OS. Since then, it’s been a near constant game of one-upmanship. Apple dropped Google Maps in favour of their own product, which Google has responded to by launching pretty much every one of their services on the iOS App Store. The latest shot fired is the introduction of ad blockers in iOS 9, which could affect Google’s huge advertising revenue. Waged in courts across the globe since 2010, the Samsung/Apple war has cost billions of dollars in legal fees and made a lot of law firms very, very rich. It all started when Samsung launched the Galaxy S, which Apple designer’s felt was pretty much a complete rip off of the iPhone. 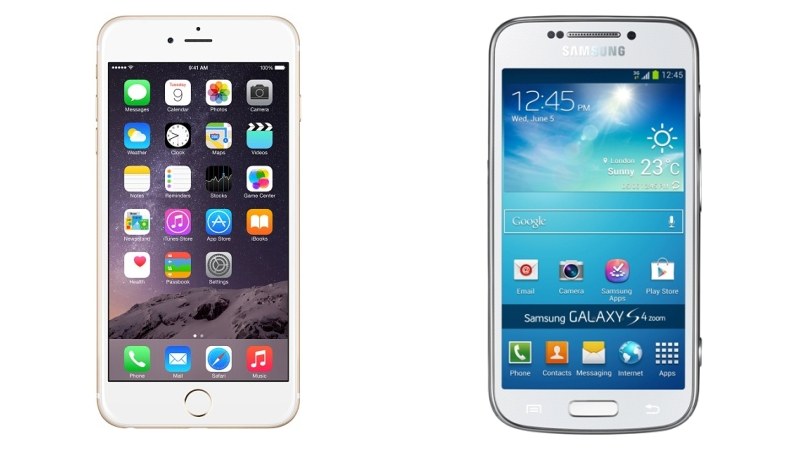 Apple opened legal proceedings shortly after, which Samsung responded to by launching a few lawsuits of their own. The feud appeared to be over in 2012, when Apple was awarded over £1 billion in damages from Samsung. However, Samsung appealed and the case is still ongoing. A recent judgement declared the damages must be recalculated. There is an end in sight, however: last year, the companies dropped all litigation outside of the US, while, in an amazing twist, Samsung will apparently supply the microprocessors for the next iPhone! The rivalry first started in the late 80s, when Apple and Microsoft competed in the home computer market. Microsoft took a strong lead and Apple, without Jobs, was basically crushed. However, there was a twist in the tale. In 1997, with Apple on its knees, Gates decided to invest in Apple. Jobs, newly restored as Apple’s big boss, repaid him by destroying Microsoft in the media player, smartphones and tablet markets over the next 15 years. While their companies were fierce rivals, though, Gates and Jobs were actually quite cordial; Jobs once described Gates as a ‘good guy’, and the two were friendly in the years before Jobs’ death. Forget Xbox vs. PlayStation: the most fierce videogame rivalry of all time was between a blue hedgehog and an overweight Italian plumber. Nintendo pretty much dominated the videogame market until Sega released the Mega Drive (also known as the Genesis), a powerful, sleek and mature console with a wider range of games. The two feuded for years after, with Sega firing the biggest shot with their infamous ‘Genesis does what Nintendo’t’ tagline. Nintendo responded with possibly the worst joke of all time: “Why did the hedgehog cross the road? To get to Super Mario Land 2”. In the end, Sega’s ambitions cost it the console war. First, they released the Mega CD, which bombed. Then, they released the 32X add-on, which bombed even harder. The Saturn was subsequently destroyed by the N64 and by the time the Dreamcast was released, the war was well and truly over. Sega left the console market for good and, in a move unthinkable to children of the 80s and 90s, Sonic and Mario now appear together in sports games. Strangely, both were offered the opportunity to team up with Sony to launch the PlayStation – a move that would have seen them dominating the console market to this day! Sell your electronics for CASH with musicMagpie. It’s as easy as price, box, send; just click the button below to get started!